Is Your Website Accessible From the Job Site? 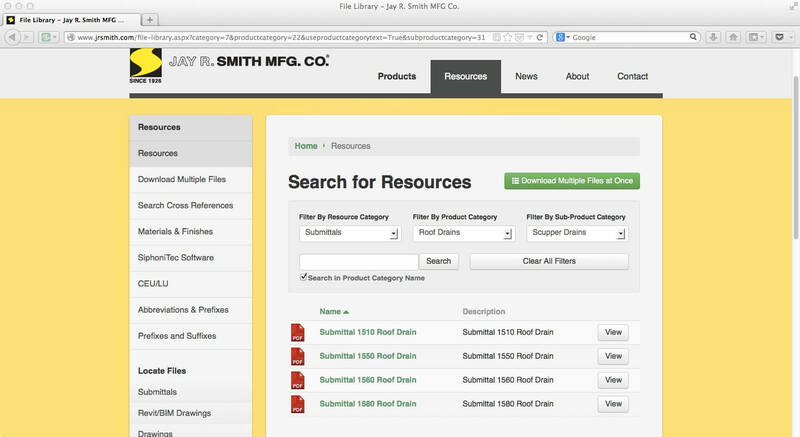 - Jay R. Smith MFG Co.
Why are we talking about web design on a plumbing site? We recently redesigned our website using an approach called responsive design, and we thought our experience might be relevant to your business. Why is responsive design important to you? It basically comes down to customer retention and customer acquisition. It’s not at all unusual, in the commercial construction industry, for your partners, customers and even employees to be using their smartphones and tablets to look up information and resources on your website. It can often be very difficult for people to find what they are looking for via the small screen on their smartphone. If it’s difficult to do business with you at the moment your customers need you, they may simply go somewhere else. Call it the path of least resistance. It’s a website design approach that enables an optimal viewing experience. One that adapts to the screen someone is using to view the website. It doesn’t just shrink or fill the entire screen. It actually changes and adapts to create a better experience. If you could create a building using responsive design, it would immediately recognize if a woman was entering the building using a wheelchair and convert all stairs to ramps. Everything in the building would shift and be accessible to her. At the same time, a man that stood eleven feet tall entering your building would have an experience created specifically for his proportions. Ceilings would rise, and handles would all be in the perfect position. In our case, we know our site visitors need access to much of our product information via our website when they are on a job site or moving between jobs. We want it to be just as easy to look up product specs on their smartphone as it is on their desktop in the office. If an engineer is on a job site and wants to access the submittal for a scupper drain, we want him or her to be able to do that as easily on an iPhone as on a desktop. We hope this gives you a bit of understanding about responsive design websites. It certainly isn’t a complete tutorial, but it is something to think more about. Especially if there is a website re-design in your company’s future. You may want to pass this information along. Here are five things you may want to consider when thinking about a project like this. 1. The agency you choose is important. “The agency should understand if responsive is really what you need, while keeping in mind the future of mobile development. They should be asking questions about who your audience is and how those users interact with your site. Have they reviewed the analytics to understand your audience? Have they interviewed stakeholder and site users?” Jennifer Fix, Development Team Coordinator, 352 Media. 2. Look at where you do business as well as where you want to do future business. “International usage of mobile devices is significantly higher than US mobile trends.” Paul Traylor, 352 Media. Be sure to check the mobile statistics for countries you are targeting. ComScore is a great resource for this. 3. Start at the beginning. 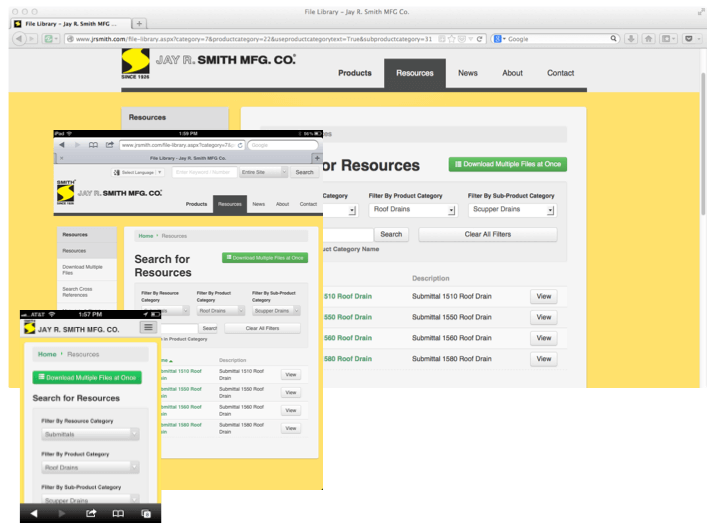 Responsive design is not something you tack on halfway through your website design project. It has to be considered from the start. It’s as important as your building’s foundation. 4. Check your Google Analytics. Google Analytics will tell you how many visitors are coming to your site via desktop, tablet or smartphone. It will even tell you what brand of device they are using. Then check the bounce rates. If bounce rates are high on mobile devices, that could indicate a problem. 5. Take your own website for a spin. Try doing task oriented activities on your own website via your smartphone. How difficult is it? Responsive design will help alleviate these problems. Try viewing your portfolio of work on a mobile device. Do the pictures take forever to load? Responsive design should help fix this issue. We hope this information has been helpful. To experience exactly what we’re talking about here, try doing a side-by-side comparison of our website on your desktop and smartphone or tablet.